The supplies have been delivered to Oklahoma! This snapshot from facebook tells it all! Also, may pictures Below! We extend our most sincere thanks to everyone who had helped in any way with the Oklahoma Tornado Relief Effort. So many have brought donations of all sorts. If you would like to learn more, there is a form below. 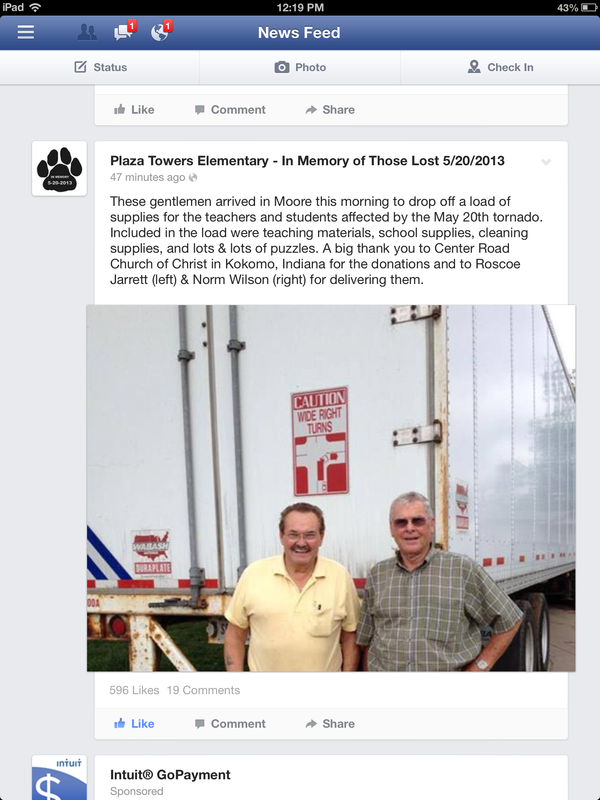 May God bless Kokomo for helping others. This entry was posted in Kids Ministry, Maynards, Ministry, MWLTC, Rustys Career on June 10, 2013 by Rusty Maynard.